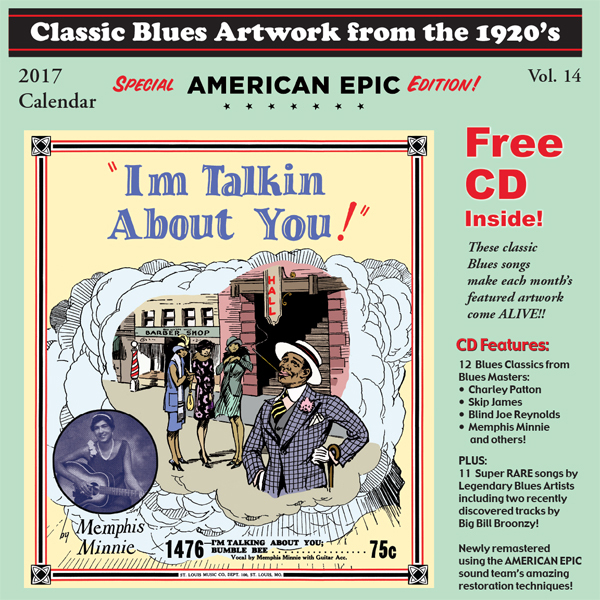 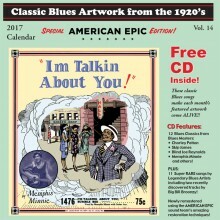 For the calendar-loving, pre-war blues addict in your life, can there be any better holiday gift than John Tefteller’s annual Blues Images calendar? 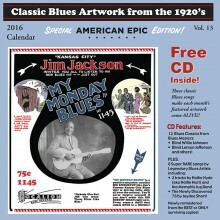 The 2016 calendar/CD combo offers an excellent track line up, paired with (as usual) a year’s worth of beautiful historic images. 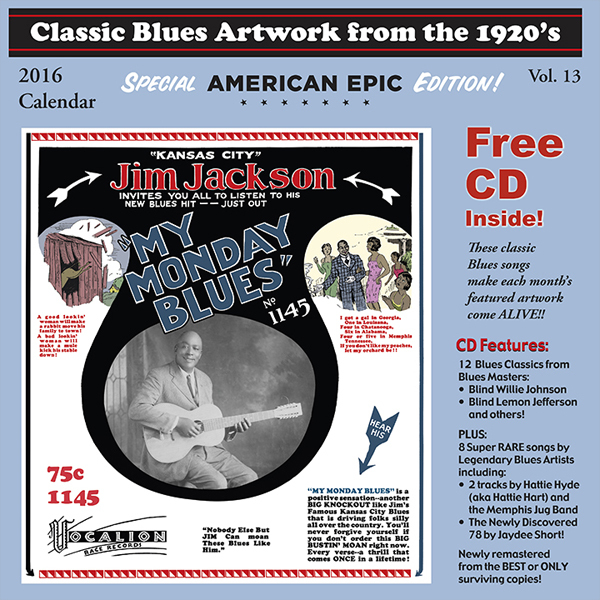 All-time blues classics are mixed with rare and long thought-to-be-lost recordings. 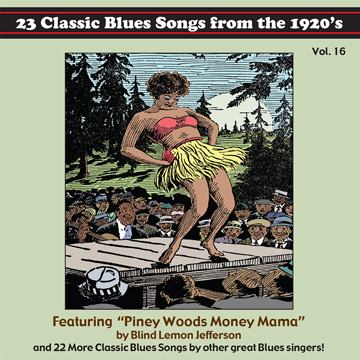 Hattie Hyde (aka Hattie Hart) and members of the Memphis Jug Band ask “all you women” a question about love in “Special Question Blues” and go to town on a long-lost version of the classic “T & N O Blues.” Also reissued for the first time are Jaydee Short’s renditions of “Tar Road Blues” and “Flaggin’ It To Georgia,” with Short’s fabulous guitar and voice cutting through what must have been a challenging digitization and remastering process. Speaking of transfers and remastering, the tracks on this year’s Blues Images release were digitally restored by a team working on the upcoming AMERICAN EPIC documentary – a four part documentary on rural American music from the 1920s and 1930s that will air on PBS and the BBC in early 2016. 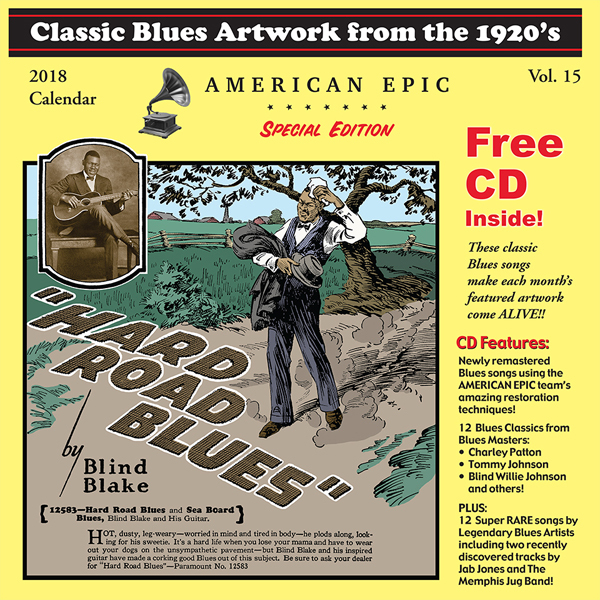 As stated by Blues Images, the AMERICAN EPIC team used “original, vintage 1920’s studio playback equipment, combined with highly specialized ultra-modern technology” to digitally restore these Blues 78s. 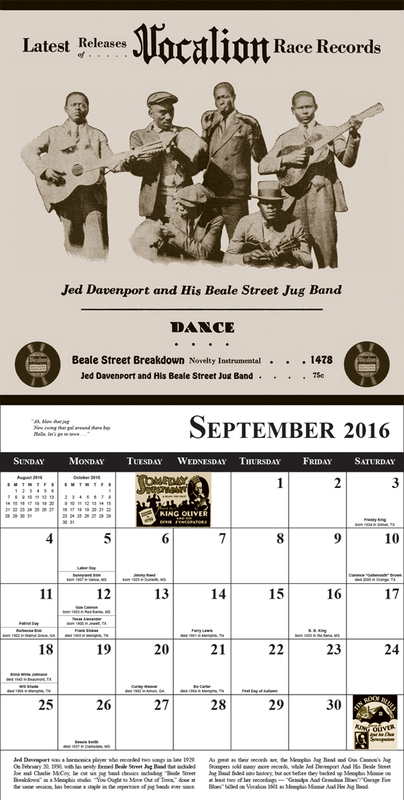 It’s not too late to order your copy of the 2016 Blues Images calendar and CD from BluesImages.com. 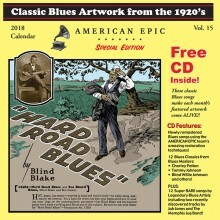 If you hurry, it could make it in time for the holidays, giving that blues loving gift recipient of yours time to sit back and listen to “Atlanta Moan,” “Georgia Cake Walk,” “My Monday Blues,” “The High Cost of Sin,” “Vampire Women,” “See That My Grave Is Kept Clean,” and more through the New Year Holiday and well into 2016!